In a Nutshell: For coffee enthusiasts in major U.S. cities, it can be hard to find hidden java gems and support local shops — much less save money while doing so. The CUPS app lets users find new cafés, order drinks, and pay from their mobile devices. Participating locations offer a 15% discount on coffee through the app. Users can filter shops by vicinity, amenities, cuisine, and other preferences and also learn more about coffee on the CUPS blog. CUPS helps coffee drinkers track their purchasing behavior, support local shops, and always find the cup they’re craving. In many large cities, it’s easy for coffee drinkers to get their fix. Urban centers are full of big-name chains, but they are also home to a variety of independent shops. Some of these are local landmarks while others are off-the-beaten-path gathering places you might pass without ever realizing it. Until you walk inside, you may never know that a quaint used bookstore is home to a cafe that serves coffee in addition to an all-vegan menu, including hot food, soup, cookies, and cake. The abundance of such spots intrigues coffee enthusiasts, but it also presents challenges. How can you spot all those hidden gems? How can you find out what fare a shop offers? And how can you keep current with new shops, specials, and seasonal offerings? 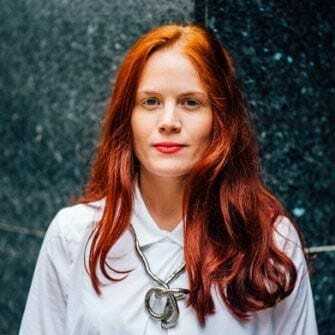 Lauren Duttenhofer, Vice President of Operations at CUPS, said the app encourages users to find new and interesting cafés. The CUPS app can answer those questions. CUPS helps coffee drinkers find and experience shops they may have never discovered. The app also provides a 15% discount on coffee at all participating locations and simplifies the ordering and payment processes. CUPS conducted successful pilot programs in Jerusalem and Tel Aviv, Israel, from 2012 to 2013 before starting operations in New York City in 2014. CUPS initially launched with 30 shops in downtown Manhattan before quickly expanding to 250. Since then, the app has established a presence in other cities including Minneapolis, Philadelphia, San Francisco, Nashville, Pittsburgh, and Sacramento. And one CUPS account works at every coffee shop affiliated with the service, so users can get the same insight and expediency in any city the app covers. To order with CUPS, users log in, select their store, and choose their drink. They can also adjust their order to their specifications with soy or almond milk, extra shots, or flavored syrups. The app allows users to tip their baristas and order food from certain locations. A cookie emoji beside a shop’s name indicates that it serves food. CUPS users check out by presenting their phone at the register, and the attendant enters a code into the app, finalizing the transaction. Users get a discount at CUPS-affiliated locations when they pay through the app instead with cash or a credit card. Users can link their CUPS account to a credit card, Android Pay, or Apple Pay. CUPS charges these accounts on a per-transaction basis, so there’s no need to pre-load funds into a virtual wallet and no worries about insufficient funds when that urge for coffee strikes. CUPS also stores order information and locations to help users remember and revisit their favorite brews and spots. But with an abundance of coffee shops, novelty seekers will inevitably want to try new places and offerings — and CUPS provides an easy way to find those future favorites waiting to be discovered. Users can view an area’s independent coffee houses in either a list or a map view using the app, which is available on iOS and Android. And all independent coffee houses are displayed — whether they’re affiliated with CUPS or not. Locations that have partnered with CUPS appear highlighted in blue. CUPS users can find new coffee spots in major cities through the app’s mapping feature. The app allows users to filter options according to amenities and personal preference. The filters on CUPS include the types of roasts offered at a location, the cuisine a shop serves, whether a location has indoor and outdoor seating, if a shop provides free wifi for customers, and if it offers power outlets available for phones, computers, and other devices. “It’s not just about the coffee. It’s about the feeling and other amenities,” Duttenhofer said. By using these filters, coffee drinkers can discover locations that cater to their dietary restrictions or ambiance preferences, find a new favorite spot, or try something new every day. CUPS communicates with users in a variety of ways, including through in-app notifications, a blog, and direct support. And if a user has a question, an answer is never far away. The app incorporates a feature called CUPS Scout, through which users can communicate with the CUPS team on all topics concerning coffee. “Customers can message us through the app with coffee-related questions,” Duttenhofer said. Do you want to know the difference between cold brew and nitro? Are you trying to find out which shops in a particular area are offering a specific roast? Users can find out through CUPS Scout. The CUPS blog Room for Milk gives readers insights into coffee-related news and trends. For those who are thirsty for knowledge and entertainment, CUPS maintains a blog called Room for Milk. Blog posts inform readers on coffee-related topics, including news and updates about the app, alerts about new CUPS locations, special event announcements, and even Spotify playlists to enhance their coffee-drinking experience. 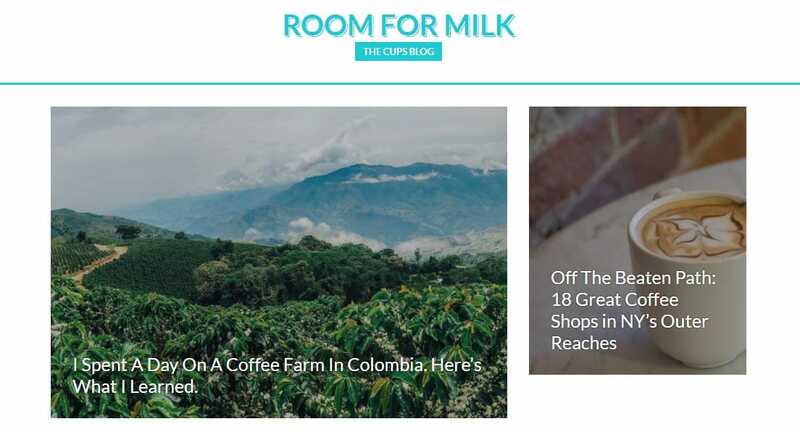 Room for Milk also compiles features including the top shops in particular cities, reasons for buying local coffee instead of patronizing big chains, what life is like on a Colombian coffee farm, and lists of the best local shops for working and studying. CUPS also offers customer support for in-app issues. 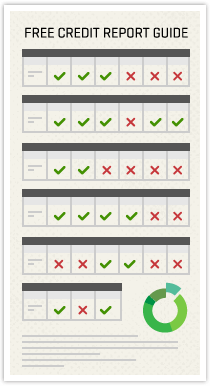 When users encounter a snag, the support team is just an email away and can address the problem quickly. While CUPS is still limited to major U.S. cities, the team is working to expand its network so more people across the nation can enjoy the app’s ease and insights. On the CUPS website, prospective users eager for an enhanced coffee-drinking experience can suggest a new city or town for the app’s expansion. They can also alert the CUPS team to a coffee shop that may have been overlooked, just recently opened, or hasn’t been listed in the app for whatever reason. For those who want to share the joy of coffee, CUPS offers virtual gift cards in $10, $20, $50, and $100 denominations. They’re a good way for users to introduce a friend or loved one to the savings and convenience of the CUPS app — a one-stop resource for independent coffee culture in the United States. By supporting neighborhood shops, practicing conscientious consumption, and paying through the CUPS app, users can maintain freedom and convenience while discovering novel coffee experiences and enjoying their favorite beverages.